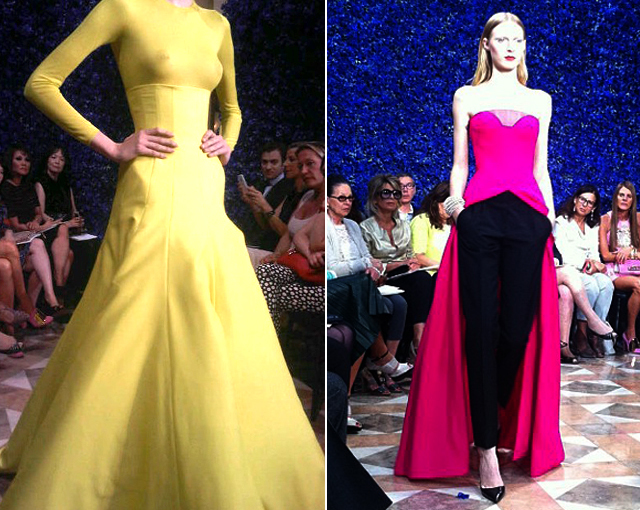 number 64: Minimal + classic = New Dior? 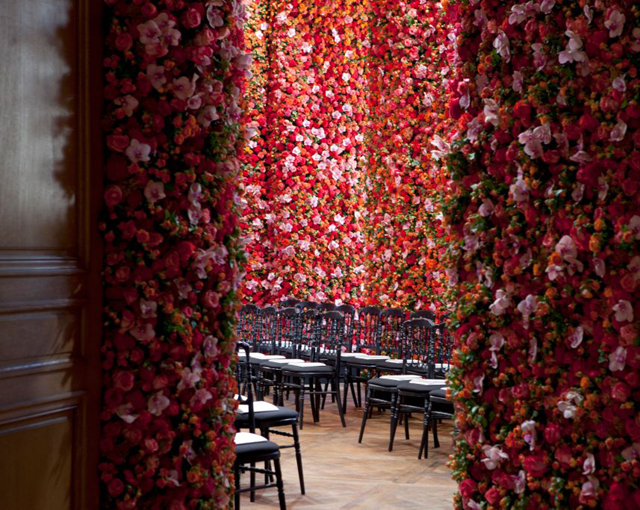 This morning a feníx was reborn is Paris on Avenue d’Iéna, surrounded with flowers with different colors for each room. 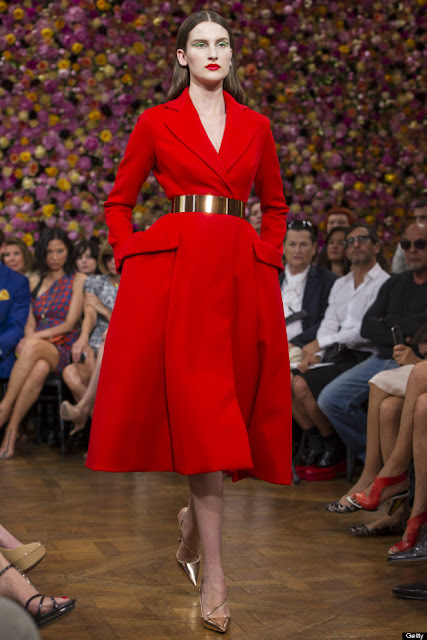 Raf Simons (formally known as the Jill Sander designer) presented his first collection for maison Dior and I was quite impressed with the result. His minimalism of colors was the perfect match with Dior former extravaganza creating a unique collection ruled by the simplicity and actually bringing back the old French glamour the maison was known for. During the show we were able to revisit the Dior classics in the eyes of the designer through the ultra feminine dresses with the classical Dior siluet. Also peplum tops, cigarrete pants and one color structured dresses were the great example that this classical yet minimalist vision created by Raf is possible and made the maison reborn from the ashes left by Galliano. Since I’m a big Galiano fan I always thought Dior wouldn’t be the same after he left but for sure my opinion has changed. Although it wasn’t that much couture like (times change), the designer was just what the maison needed to break from the past and begin a new era.